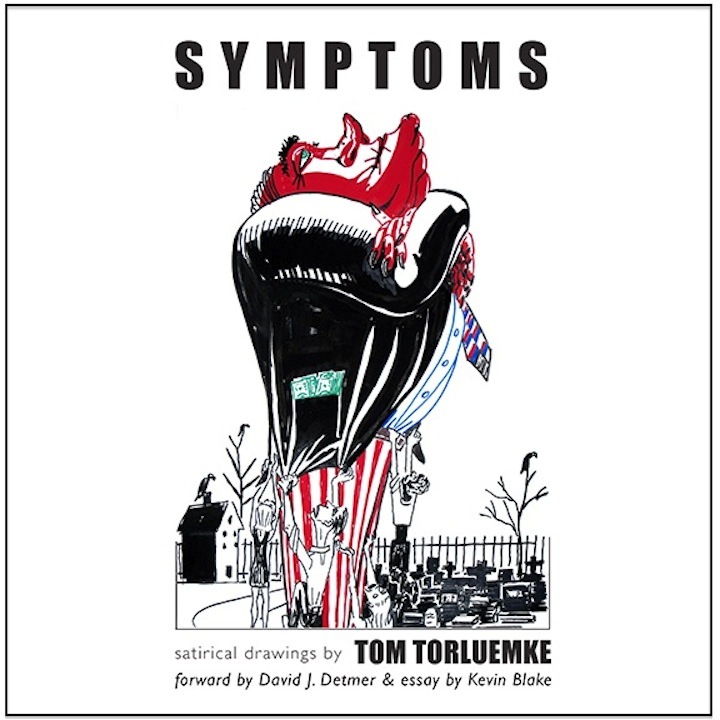 We are excited to announce the forthcoming release of Tom’s book SYMPTOMS: satirical drawings by Tom Torluemke. 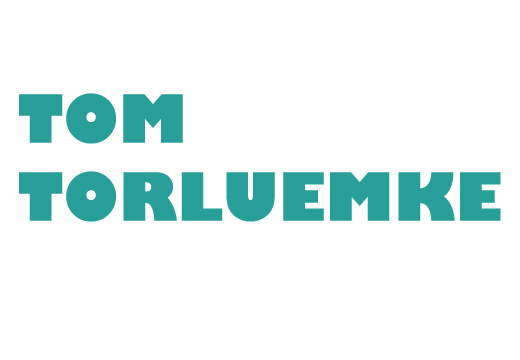 The limited-edition, 200-page, softbound book includes 90 images from Tom’s blog, Torluemke’s Daily Punch: a series of daily impressions and ideas about our society and politics made into simple but powerful statements using acrylic paint marker on paper. Tom’s spontaneously drawn reactions and visual vocabulary touch on a variety of subject matter in this hard-hitting series. The book is being published/produced in collaboration with Public Media Institute, with the forward by David J. Detmer and an essay by Kevin Blake. PMI is a non-profit 501(c) 3, community based, art & culture organization located in the neighborhood of Bridgeport in the city of Chicago. Their mission is to create, incubate and sustain innovative cultural programming through the production of socially engaged projects, festivals, spaces, exhibitions, and media. David Detmer is Professor of Philosophy at Purdue University Northwest. He is the author of five books: Freedom as a Value (1988), Challenging Postmodernism: Philosophy and the Politics of Truth (2003), Sartre Explained (2008), Phenomenology Explained (2013), and Zinnophobia: The Battle Over History in Education, Politics, and Scholarship. Kevin Blake is an artist and writer working in Chicago, IL. He holds a BFA and MA from The School of the Art Institute of Chicago as well as an MFA from the Art Institute of Boston at Lesley University. Kevin’s writing has appeared in such publications as Art and Beyond, Bad at Sports, New City, and The Painter’s Table. PURCHASE YOUR BOOK HERE ! !